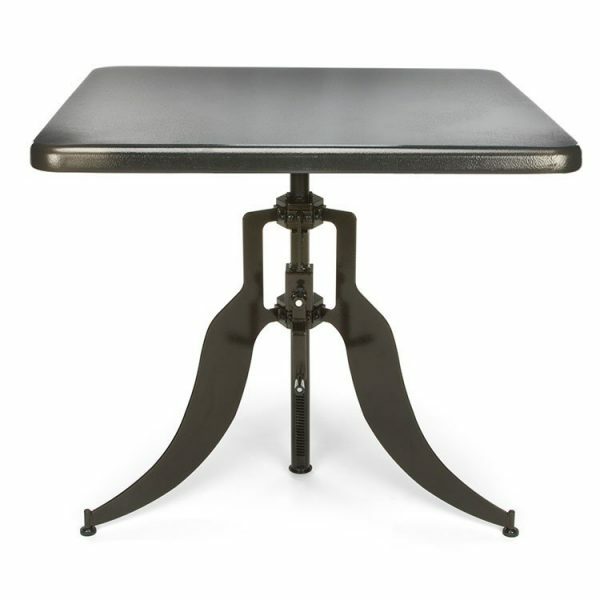 The Multipurpose Table is the classic work horse that does it all. Dining, Multipurpose tables can be used and interpreted depending on the space, the person, and the activity. They’re ideal for impromptu lunch gatherings in your café, to a more formal meeting or dining space. 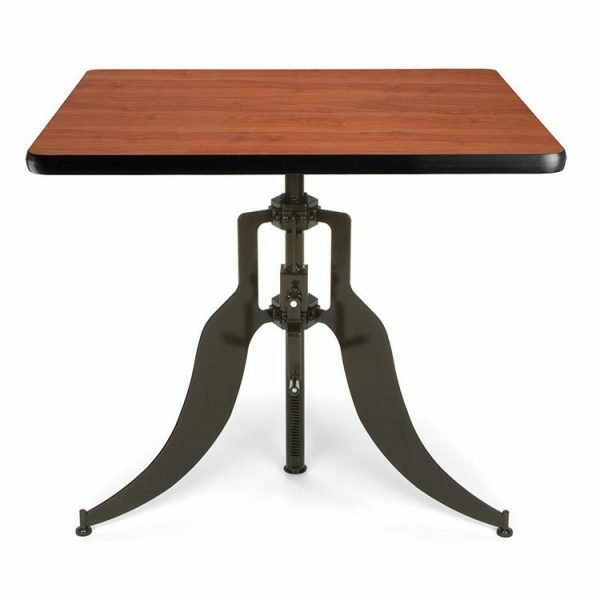 Crank it up with our “industrial” adjustable height stand up tables in the meeting room for a better view or for casual conversations at social mixers. Arrange round and square tables with linens for dinner then nest and stow the tables making way to cut the rug. Sit-to-stand, round or square, classic or contemporary, indoor and outdoor – our multipurpose tables provide infinite uses to maximize your space and budget in style. Contact Bakagain Furniture for quote or free floor plan ideas! 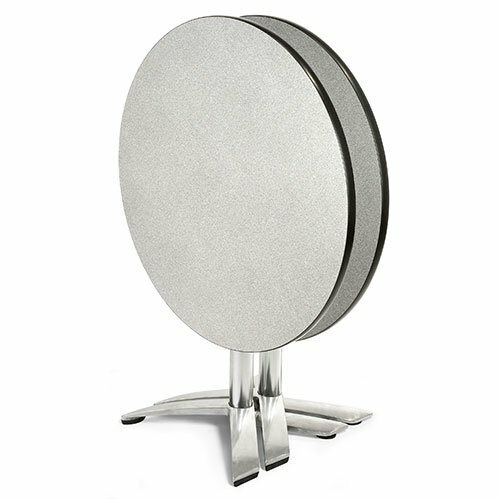 Our 36″ & 42″ round or square Folding Top Nesting Tables quickly tilt that allows the tables to be nested and stored away easily. They work well in your home, cafe, breakroom, dining room or healthcare setting. These tables bring a stylish, modern look to any space. Metal base, laminate top and nylon leveling glides. 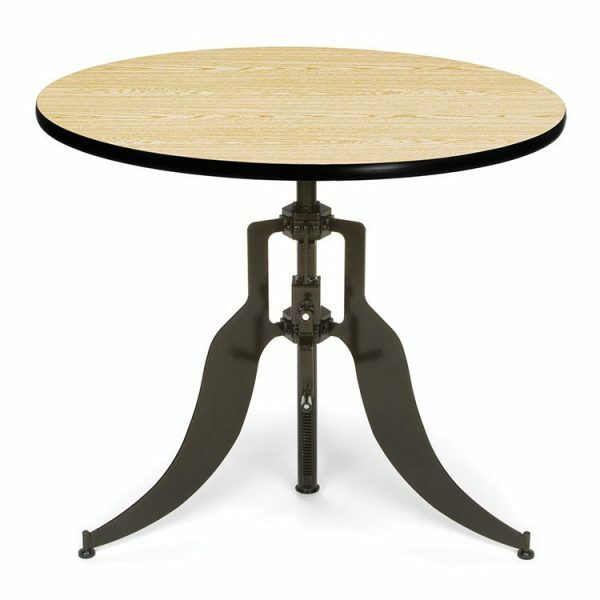 Our new industrial style tables quickly adjusts from standard height to cafe height and offers a Dark Vein Metal Top in 32″ round and 36″ square. It works well in your home, cafe, breakroom or healthcare setting. These tables bring a stylish, modern look to any space. Dark Vein finish base, metal top and nylon leveling glides. Our new 30″, 36″ and 42″ Round Adjustable Height Dining Table quickly adjusts from standard height to cafe height and offers 4 different laminate finishes. It works well in your home, cafe, breakroom or healthcare setting. These tables bring a stylish, modern look to any space. Dark Vein finish base, laminate top and nylon leveling glides. 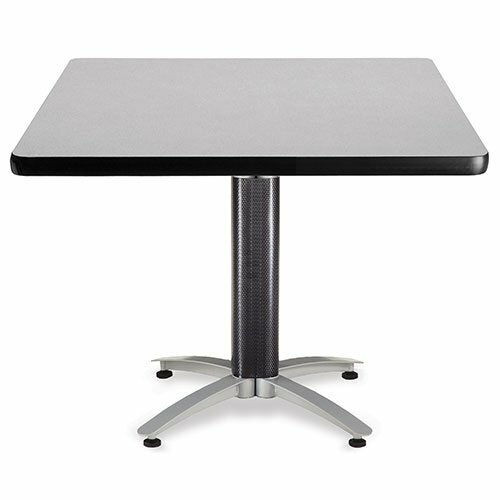 The contemporary Endure Standing Height Table with Seats design allows you to sit or stand while you brainstorm. Choose the Dry Erase Whiteboard tabletops and get sketching. Time to share and collaborate? Stow the stools under the table tops and co-workers have freedom of movement around the table to share ideas unencumbered by seating. All the while your mobile device is being charged using the built-in electric / USB charger.